Like the city that surrounds it, [the Hotel] is rich in history, resplendent in natural beauty, vibrant and cosmopolitan. The Hotel has several restaurants, one of which, Griffin’s, serves a wonderful brunch/lunch buffet. 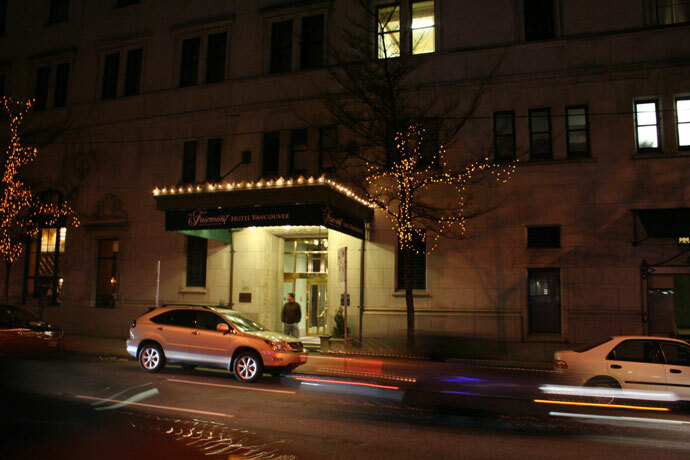 Pictured below is a night-time view of one of the side entrances to the hotel. 10,961 views. This entry was posted on Saturday, March 15th, 2008 at 11:35 pm	and is filed under Downtown, Hotel, Tourist Attraction. You can follow any responses to this entry through the RSS 2.0 feed. You can skip to the end and leave a response. Pinging is currently not allowed.